AN EASY week is on the cards for Sicario following his triumph in tonight’s South Australia Cup at Globe Derby. In what was his second start for Victorian trainer Brent Lilley, Sicario enjoyed the run of the race before dashing to a soft win in the prestigious feature. 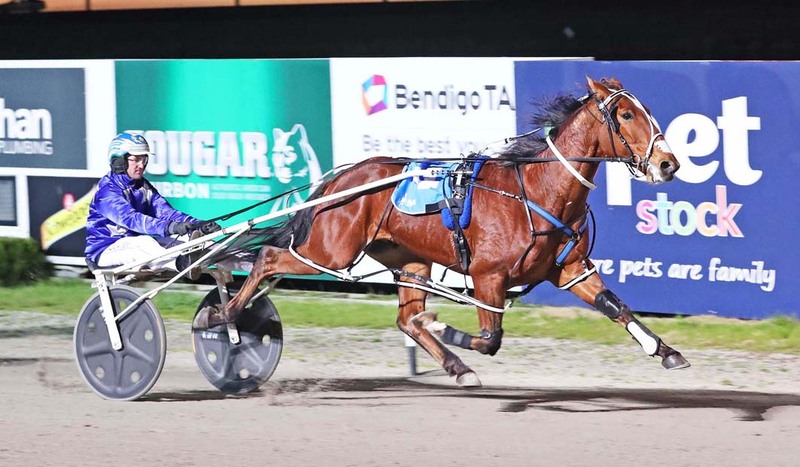 Yet to determine the four-year-old’s next target, Lilley will give the Australian Pacing Gold graduate a freshen-up before selecting a suitable mission. “I haven’t looked past tonight with him,” Lilley said. “He will have a week off now while I see what is around. “Longer term he is eligible for the New South Wales Breeders’ Challenge and Breeders’ Crown, but I haven’t really worked out what is inbetween for him. Driven by master reinsman Gavin Lang, Sicario began quickly from the pole but was unable to hold out Emain Mahca which crossed to the lead from barrier six. Angled into the passing lane during the latter stages, the son of Somebeachsomewhere sprinted a two-and-a-half metre win from Dikerry, with Emain Macha battling on gallantly to be five metres away third. Rating 1:58.9 over the 2645-metre journey, Sicario took his record to 12 wins and six placings from 26 starts for earnings of $280,440. “He has already been a good addition to the stable and can hopefully do a good job for a while yet,” Lilley said.